The global diamond industry is in rough shape right now, and China's stock market crash is making things worse. A slowdown in demand is already hurting miners, cutters, polishers and retailers, and now Chinese consumers are expected to cut back on diamond purchases in the wake of the stunning boom-bust stock market cycle. That could be good news if you're shopping for a diamond ring. "If there is one commodity that is likely to feel an impact from recent events in China, it is diamonds," said Barclays mining analysts in a research report. "Diamond purchasing decisions depend on consumer confidence, which is correlated with equity market returns in China." China's has rapidly become the second largest diamond market in the world, after the U.S. It now accounts for 16% of global demand. Diamond miner De Beers is cutting production as global demand slows. Chinese women in particular are keen on buying diamonds and precious metals as investments, explained Ben Davis, a mining analyst at Liberum in London. But purchases slowed around March as people started diverting their money into China's soaring stock markets, he said. 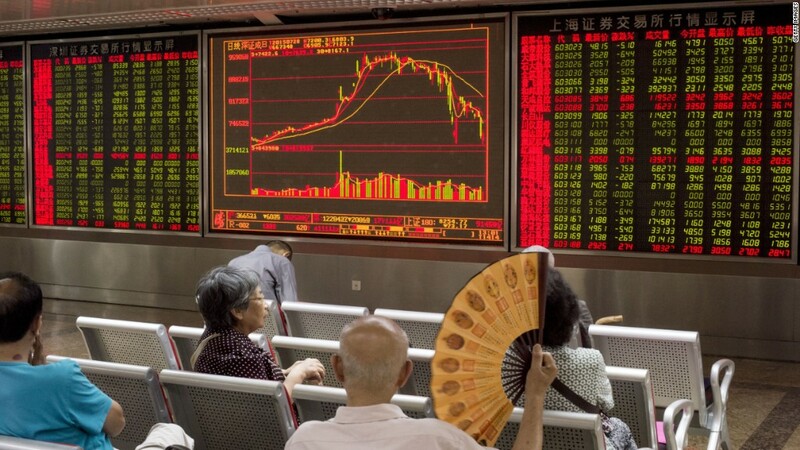 Then they lost out when the main Shanghai index crashed by roughly 30% in a month. 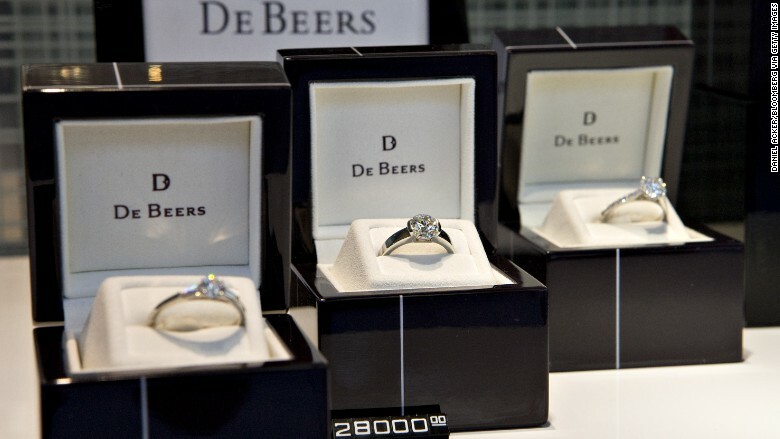 Diamond market leader De Beers is bracing for much slower global demand than in previous years. It expects to produce as few as 29 million carats in 2015, compared with rough diamond sales of 32.7 million in 2014. Apart from China, demand in Russia and the Middle East remains sluggish due to the weak ruble and low oil prices. "Simply put, there is too much inventory in a market where demand is not robust; this could continue well into 2016," said RBC mining analyst Des Kilalea. Rough diamond prices have fallen about 20% since the middle of 2014, and the price for wholesale polished diamonds is also down 15%, said Liberum's Davis. But that doesn't mean large jewelers such as Tiffany & Co (TIF) will automatically slash prices in their windows. You'll have to haggle, warns Davis. "Given that demand is poor, I'm sure you could push for a bargain," he said. "It's pretty easy to do a bit of haggling, and worth it."